Are you ready to say goodbye to these classic Walkers crisp flavours…forever?! Crisp manufacturers Walkers are threatening to bin some of its most popular flavours – and the UK is in uproar. 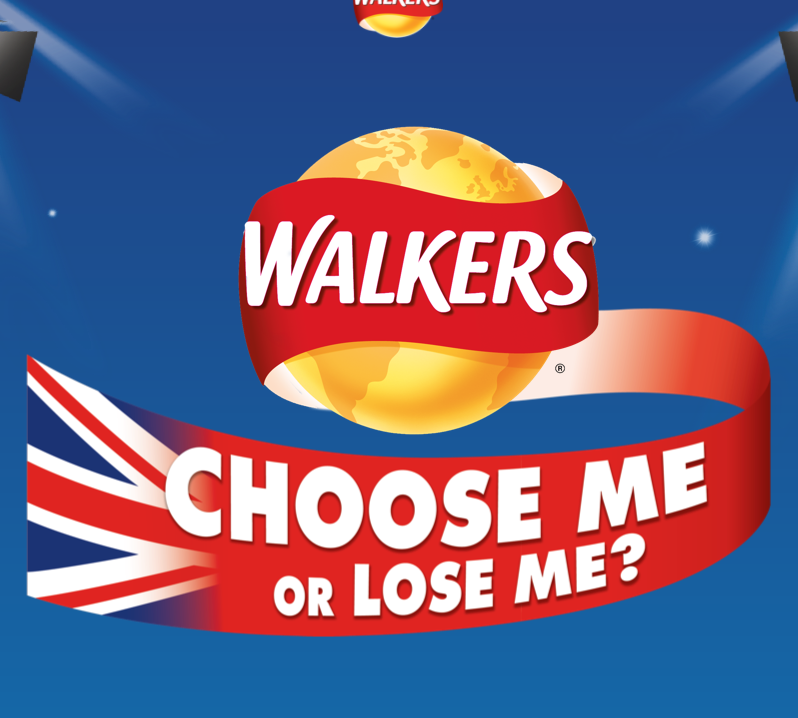 To find out where Brits’ loyalties lie, the snack giants are launching the Choose or Lose campaign, which sees three classic British flavours go up against some more sophisticated 21st century blends from overseas. You can almost smell the post-Brexit anarchy in the air. What Walkers – owned by the Pepsico colossus – is promising us is that at least one flavour will be banished from the supermarket and newsagents’ shelves forever – this will be worked out on an 80-20 split of purchasing stats and website voting. Put up for battle are the classic Salt and Vinegar, Smoky Bacon and Prawn and Cocktail. These will be up against Lime and Black Pepper from Australia, Bacon and Cheddar from the States and Paprika from Europe. The packet with the lowest number of votes will go – and voting began yesterday – 14th August. Click here to take part in the Choose or Lose campaign – remember, every vote counts. Salt and vinegar crisps are in the top five selling crisps in the UK, and prawn and cocktail have a surprisingly huge cult following – so could it be that smoky bacon’s days are over? We must admit to being partial to a packet of paprika when we’re on holiday, so maybe we’ll welcoming a bit of Euro-crisp to our shores soon. In terms of predictions of what packet will be saying goodbye – bookmakers are keeping quiet. After the Brexit result and the Boaty McBoatFace competition – it seems that us Brits are capable of anything. So which one would you say toodle pip to? Posted on August 16th, 2017 in Household.